Essential. Trusted. Indispensable. 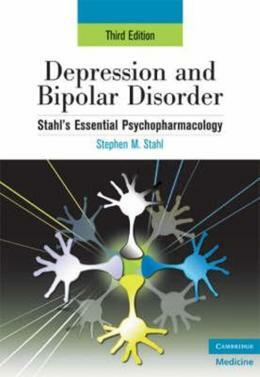 Stahl´s Essential Psychopharmacology has established itself as the preeminent source of education and information in its field. This much-expanded third edition relies on advances in neurobiology and recent clinical developments to explain the concepts underlying drug treatment of psychiatric disorders. In addition to redrawn art, an improved and more readable layout, and 30% more illustrations, the Third Edition has four all-new chapters on Psychiatric Genetics, Chronic Pain and Functional Somatic Syndromes, Disorders of Sleep, and Disorders of Cognition. Covered within are new neurotransmitter systems; theories on schizophrenia; clinical advances in antipsychotic and antidepressant therapy; coverage of attention deficit disorder and drug abuse; and new coverage of sleep disorders, chronic pain, and disorders of impulse control. This volume is indispensable for all students and professionals in mental health, enabling them to master the complexities of psychopharmacology.